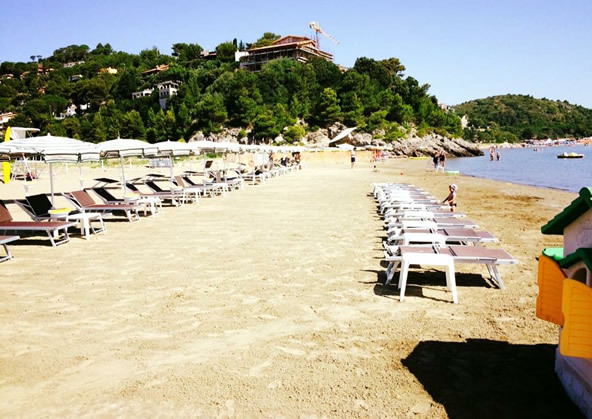 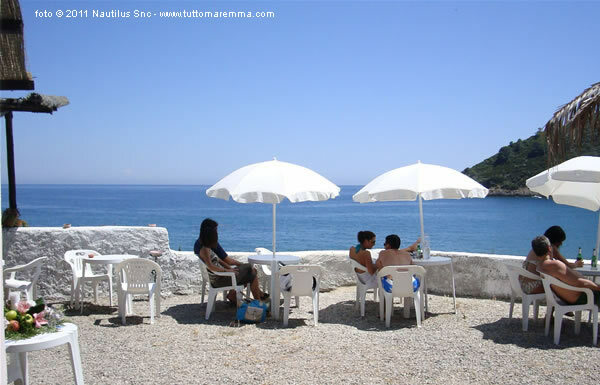 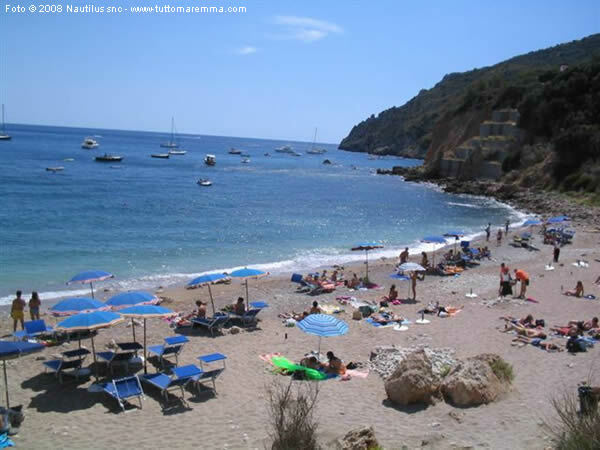 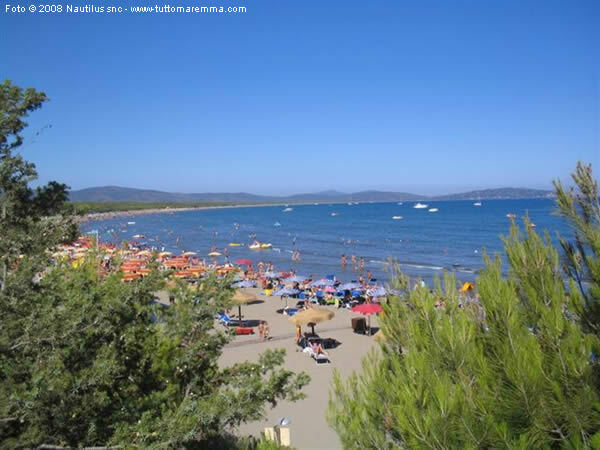 Porto Ercole beaches: a travel guide about the beaches of Porto Ercole, with photos, tips and map. 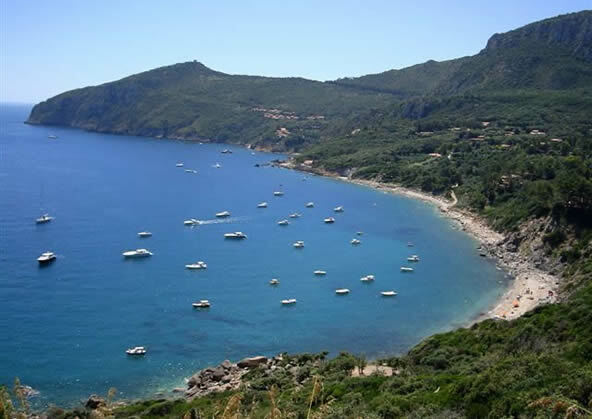 To enjoy the coast and the beaches of Porto Ercole, we suggest to rent a boat. 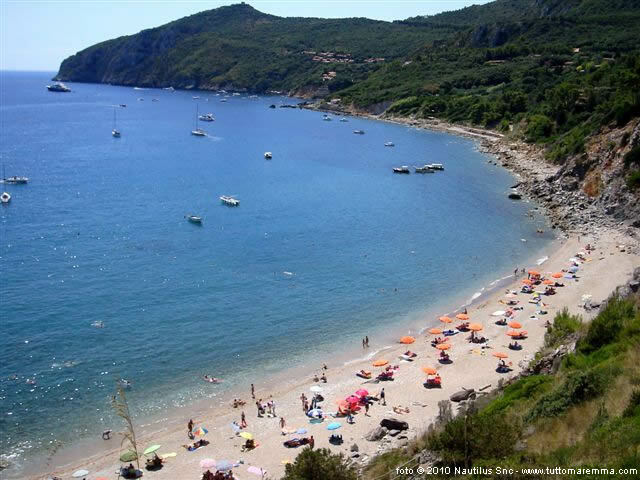 Who wants to reach the beaches by land, you can choose between following four beaches. 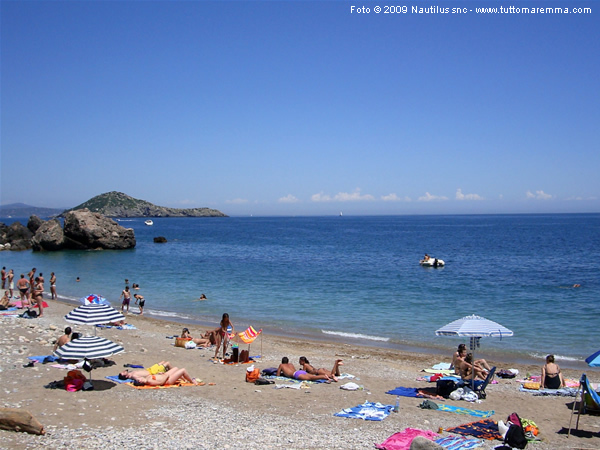 Public sandy beach with small pebbles. 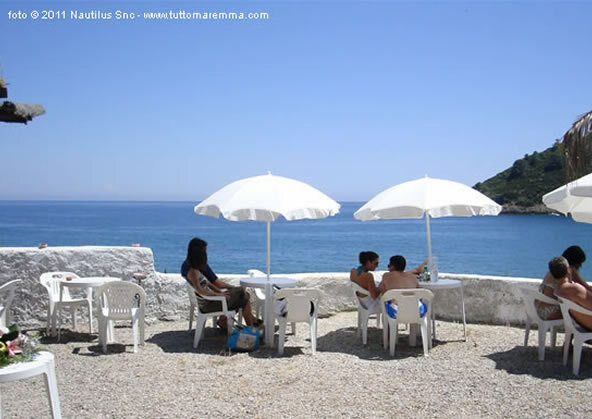 You can rent umbrellas and sun loungers. 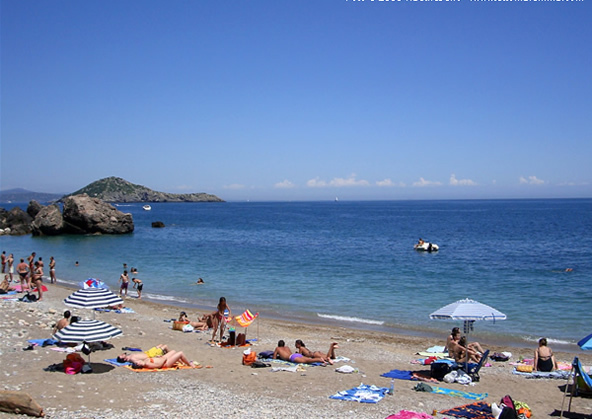 Beach exposed to south winds. 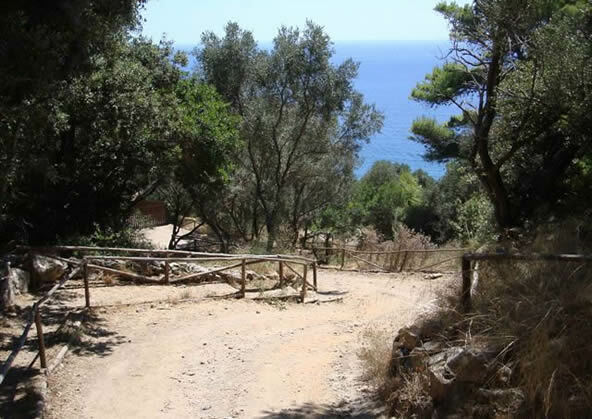 To reach the beach you have follow the sign to the Hotel Il Pellicano, arrived to the hotel entrance, continue on the footpath (about 100 meters). 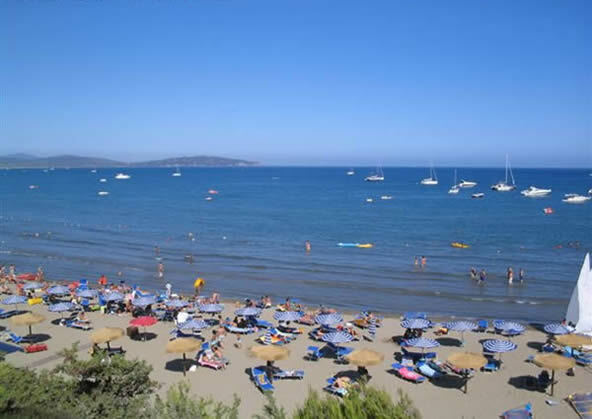 It is a public beach with umbrellas and sun loungers rental service, it's mainly sandy and exposed to the winds from the south. 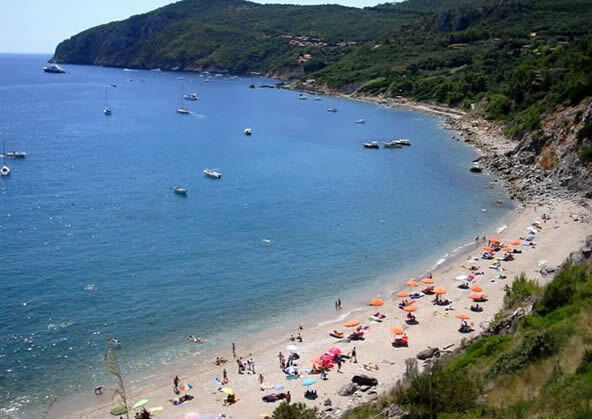 The beach access is located on the scenic route coming from Porto Ercole, about 500 meters after the first km (in practice a few meters before the junction for Forte Stella). 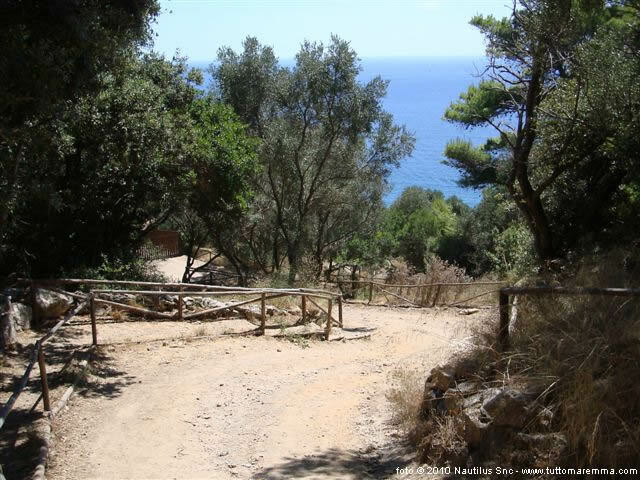 The path (well signposted) is about 200 meters long, but in some places it's not easily walkable. 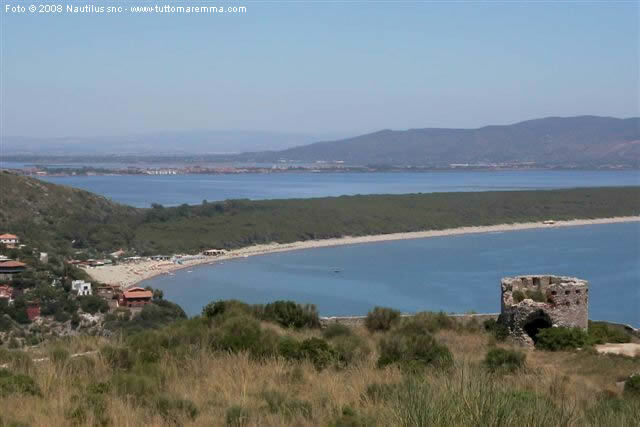 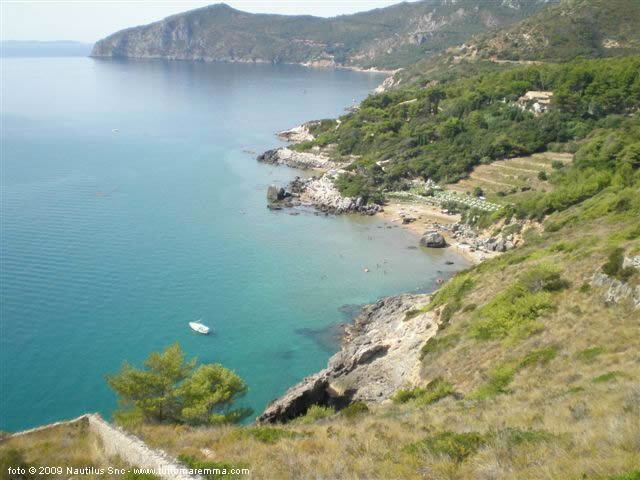 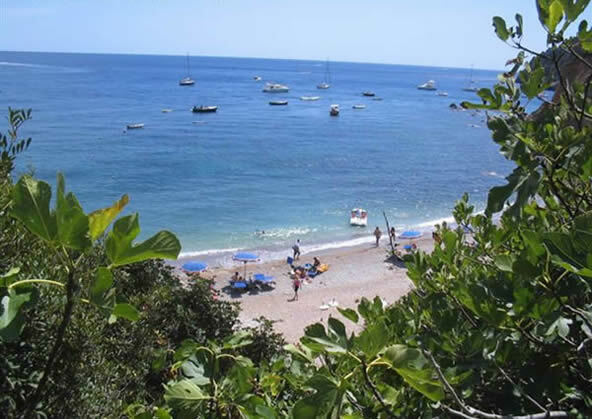 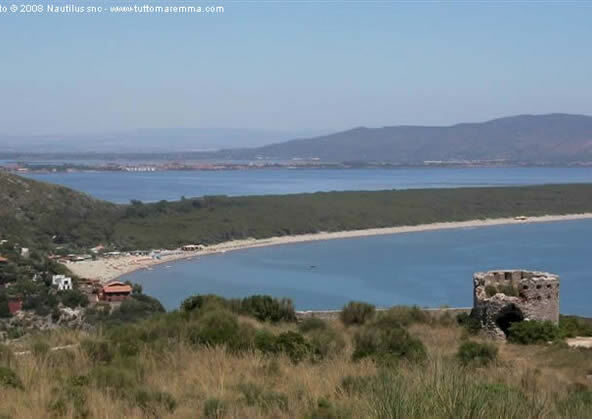 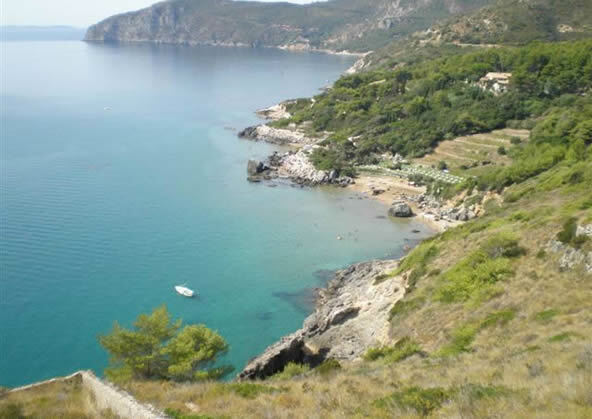 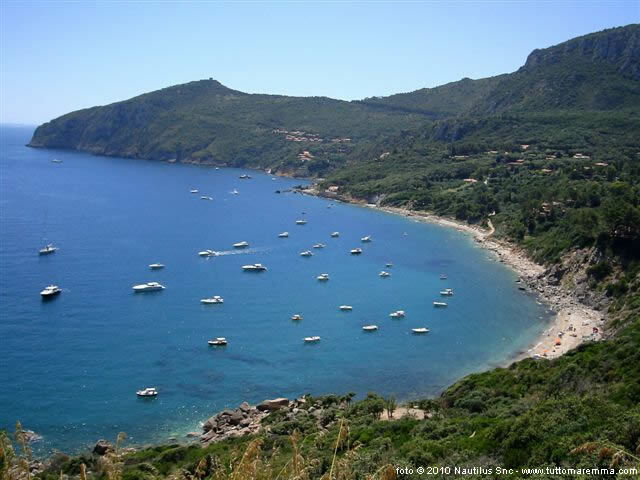 It is the closest beach to the village of Porto Ercole, the access to the beach is located on the scenic road, about 100 meters after the 0 km. 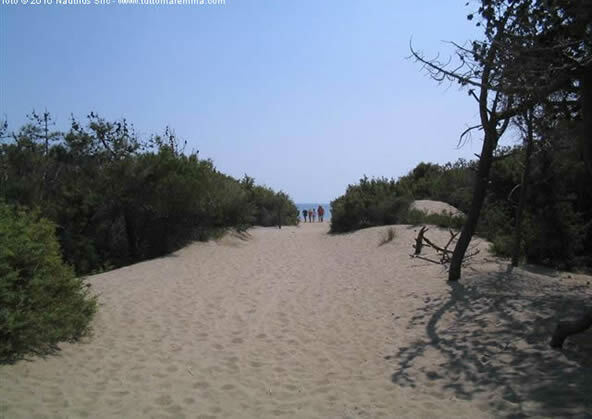 It is a beach made of pebbles and sand, and is exposed to south winds. One part is public beach and another is equipped beach. 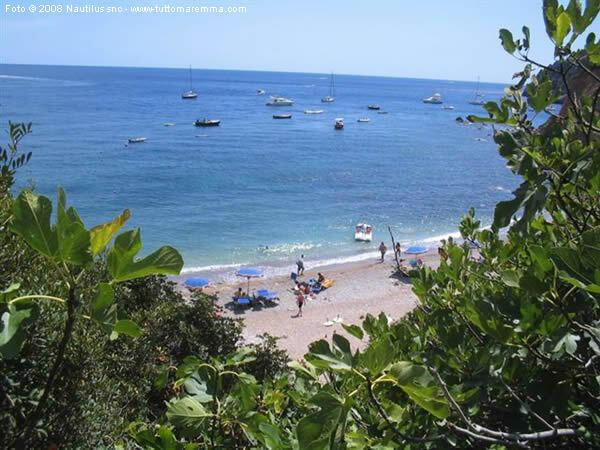 To reach the beach you have to go down on a steep path of about 200 meters. 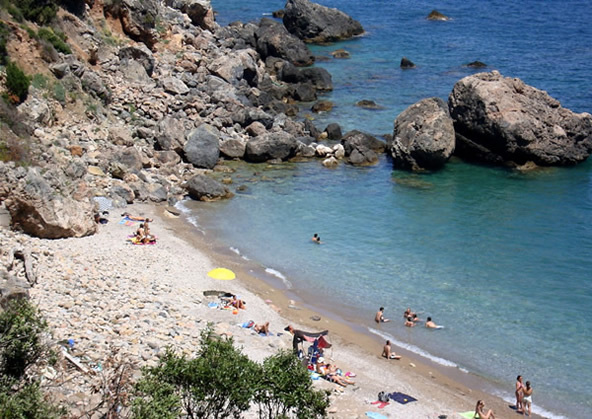 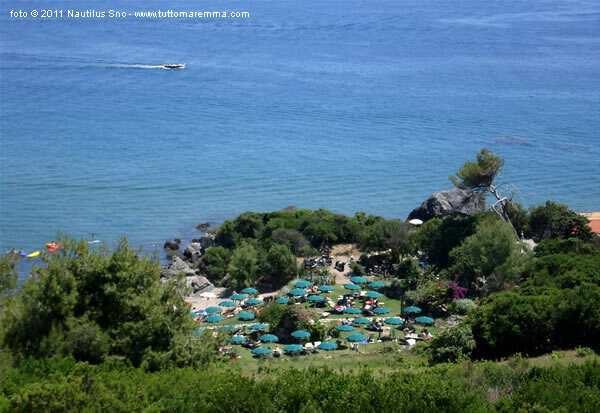 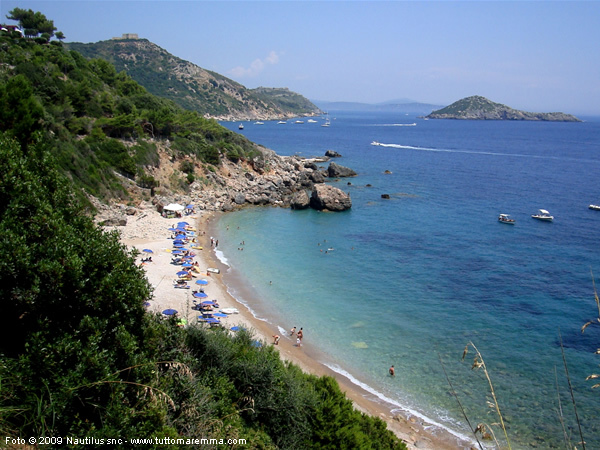 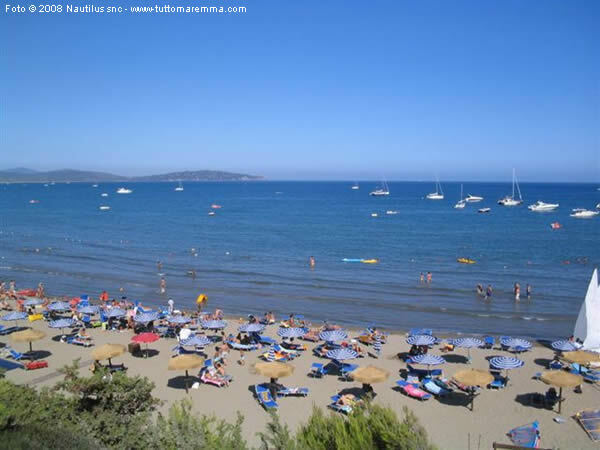 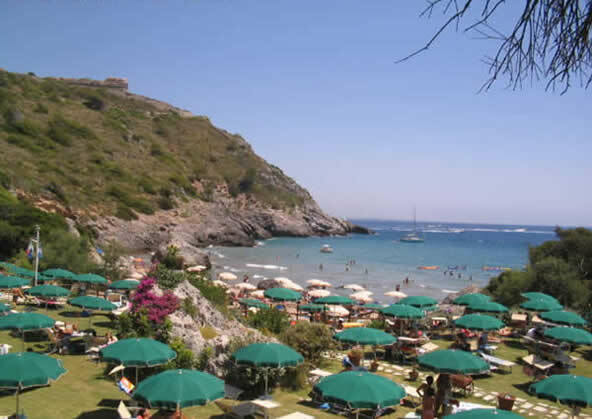 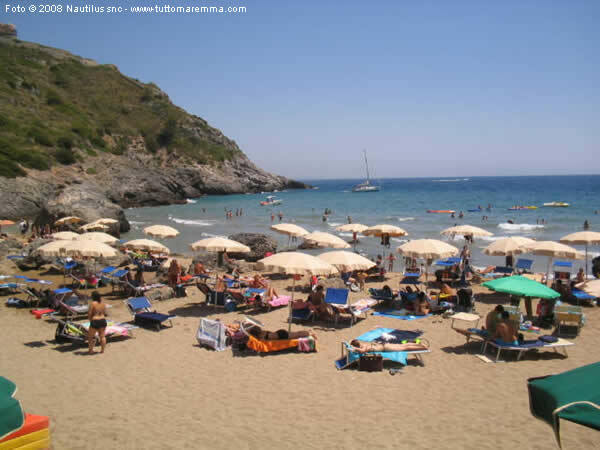 Sandy beach (both equipped and public beach) located between the Marina of Cala Galera and Poggio Pertuso. It is also easily accessible by car following signs for Cala Galera. 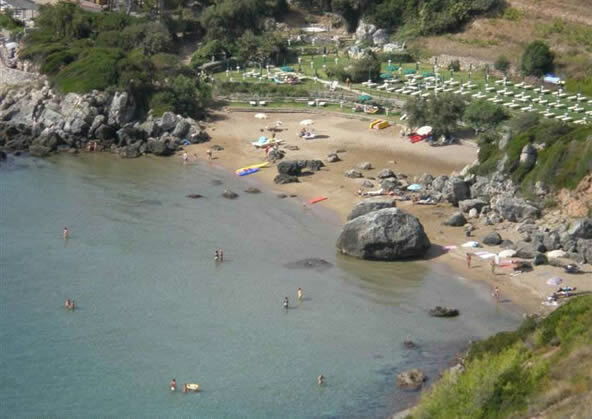 The beach is shallow and sandy indicated so even the youngest children. 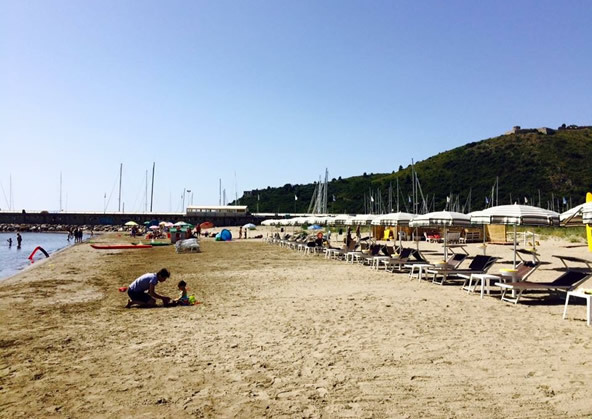 A curious note: you can walk in the water and reach the Feniglia beach located just after Poggio Pertuso. 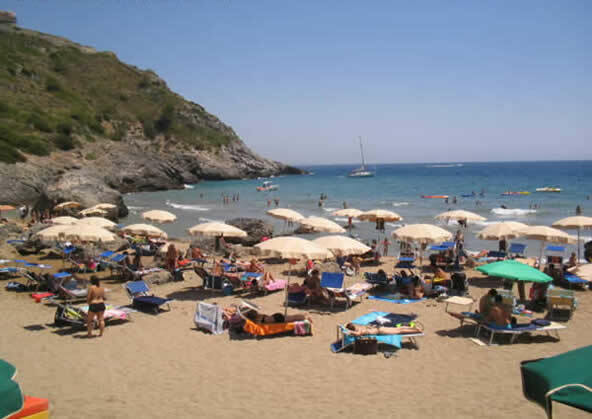 Sandy beach (both equipped and public beach) with good places to eat and drink. Child-friendly beach, easy access andthe way it slopes gently into the sea. Behind the beach there is the beautiful pine forest (Nature Reserve). 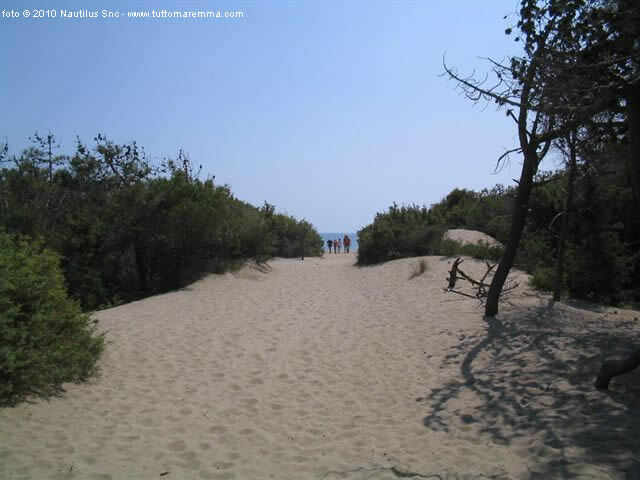 For lovers walking, it is possible find log stretches of beach uncrowded even in high season.